Ever wondered what tools are used by some of the best in the industry? Author and SEO expert Stephan Spencer shares his top free and premium SEO tools. There are a huge number of search engine optimization (SEO) tools out there. Creating SEO tools has become a cottage industry, and there are many companies out there making their living by providing tools and data. It seems like a new tool gets launched almost weekly. So, how do you know which ones to use? There are both free and paid tools, and you can spend a fortune every month licensing the paid ones. You can also spend a huge amount of time looking at these solutions, delving into reports, slicing and dicing the data they provide, and being overwhelmed by the sheer volume of data available, rather than working on the tasks that will actually improve your SEO and drive more organic traffic and conversions. Which tools produce the best ROI for your time and money? Some of my favorite SEO tools are below. For those just starting out in search engine optimization, there are many excellent free tools available to you. Some of these are tools I would consider the basic necessities for any website, whether you’re doing online marketing or not. Google Search Console is really the basic free tool you must be using. It provides a wide range of tools for diagnosing issues on your site, and it’s used by everyone — from those just starting to consider search engine optimization to the most experienced technical SEO auditors. Google Search Console allows you to not only diagnose the problems on your site but also to report the actions you have taken to solve some of those problems directly to Google so there is a clearer understanding between you two. Although there have been some criticisms of the limits to the data they provide as far as both depth of data and the amount of time data is retained (90 days for search traffic data) Google continues to add new features to the search console. Many of you will already be familiar with some of the data that Google provides such as back link data, country targeting, indexation levels, keywords, crawl errors, crawl statistics, sitemaps, etc. some of the newer features Google has added are: fetch as Google, mobile usability, and search analytics. Mobile usability. As Google started taking the mobile usability into account toward a site’s mobile search rankings in April 2015, they began providing webmasters with data as to which of their pages were not mobile friendly and specific issues they had with each page. Search analytics. This is the new version of Google’s “search traffic” report. It adds additional data to what they used to report and makes it more obvious as to how to segment the data. Much of this data (though not all, such as “search queries”) is also available through Google Analytics. Google now offers the ability to look at Google organic search traffic from the perspective of the query which drove the visit, organic landing pages, country of origin, devices, search type (web, image, and video), and date range (up to the 90 day max) and see that data in terms of clicks, impressions, click through rate, or average ranking position. Most site owners and webmasters will already have Google Search Console (Google Webmaster Tools) set up and verified for their site. Yet many neglect Bing Webmaster Tools. This is definitely an oversight. Bing Webmaster Tools offers data on search traffic, site maps, keywords, links, URL parameters, crawl data, and robots.txt just like Google Webmaster Tools does — but it also provides more in-depth SEO improvement recommendations than Google. Due to the incredible amount of data you can access with Screaming Frog’s spidering tool, it should be considered indispensable for anyone examining the technical SEO for a site. Screaming Frog gives you a great deal of the data you need to do a technical audit of a website in one place. It gives you information such as duplicate content, server errors, canonical tags, meta robots tags, title tags, meta descriptions, and more. It also allows you to include or exclude URLs with specific strings of characters in them to either examine a very particular part of your site, or to keep the crawl manageable for very large sites. While Screaming Frog offers a free option, that option limits the number of URLs you can crawl. If you do wish to purchase a license, you have basically an unlimited ability to crawl for only about $150 per year. Again, just as with the Google Search Console, Google Analytics is a really one of the most basic tools you should already be using to optimize your site. 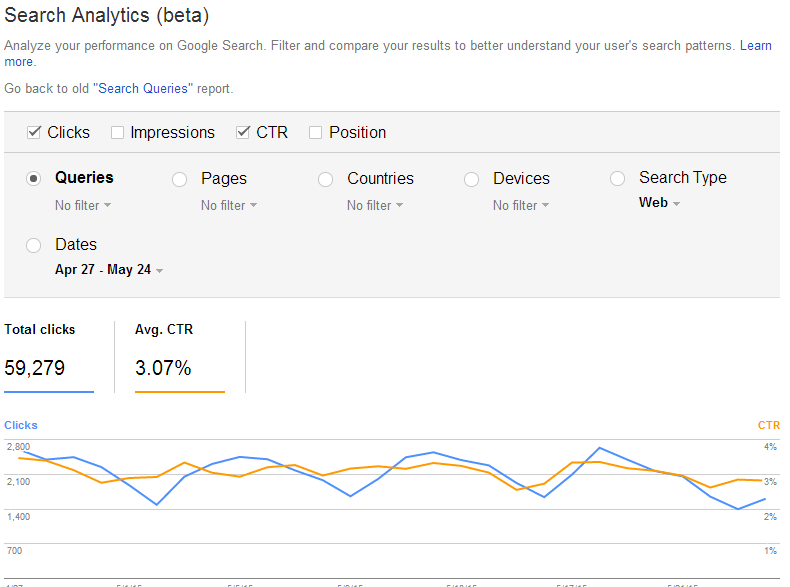 If you aren’t using Google Analytics, get it set up as soon as possible! Google Analytics gives you some of the most useful data that you are ever going to get about your visitors and traffic sources. It lets you track the way users access your site, what pages they enter into, where they exit, and all of the sources that drive traffic to your website. You can track conversions, identify your best and worst pages, and uncover your biggest opportunities. In addition, many of the other SEO tools available have the ability to access your Google Analytics data, tying that into ranking tracking, competitive reports, and other marketing reports and dashboards. As long as you have a Google AdWords account, you can access the Google AdWords Keyword Planner. The data you can get from Google AdWords is valuable enough that you should set up an AdWords account, even if you don’t plan on doing pay-per-click advertising. Although the Keyword Planner is specifically designed to help Google’s paid search customers, it can also be used to do keyword research for organic search. The Google AdWords Keyword Planner gives you related terms, search volume, search trends, and ad cost estimates for any keyword. Note however, that the search volumes they give are approximations only as they keep exact keyword query data to themselves. You can use the Keyword Planner to search based on words or phrases, based on a URL, or based on categories of keywords. The output from any of these searches will show you: Keyword (by relevance), Average Monthly Searches, Monthly Searches bar chart, and an estimate of competition levels. There are also a number of settings you can use to refine your search: Include or Exclude search terms, Locations, Language, Search Networks, and Date Range. The Keyword Planner can offer you suggestions for similar keywords, an estimate of the keyword’s popularity, ad costs and positions, general search volume trend information, and keyword campaign suggestions for your site or your competitor’s site. This tool is useful for gathering a large amount of data about a given keyword or group of keywords. Soovle is a free tool which allows you to type in a search query and displays related search terms in real time as you type. These keywords come from a variety of sources and are ordered by popularity. It’s a great tool to get a quick overview of keyword suggestions from multiple sources as it pulls in data from Wikipedia, Google, Amazon.com, Yahoo!, Bing, YouTube, and answers.com. Ubersuggest is another free keyword research tool based on Google Suggest. When you enter your keyword, it runs a number of variations based on that term. For example, if you were to enter the search term “cupcakes,” Ubersuggest would pull the suggestions for cupcakes + terms beginning with the letter “a,” cupcakes + terms beginning with the letter “b,” and so on. It also does this for the numbers 0 – 9. If you are running a small business or just starting out with SEO, free tools may be enough to get you started. As you grow, and particularly if you are in a very competitive market, the additional data and insights you can gain from paid tools may give you an edge over your competition. I recommend some of the tools below. They are either broad enough in their application to offer customization to fit your individual needs in ways that free tools often can’t, or they offer special insights that the more common tools don’t. This list is hardly comprehensive, but it includes some of my most used or favorite tools. Moz has a fantastic overall toolset for monitoring a wide variety of SEO metrics as well as tools for grading your SEO and analyzing a site’s back links. On the SEO metrics side, you can use Moz to monitor your search traffic, keyword rankings, top landing pages, and more. You can also use it to monitor your social media attention, engagement, mentions of your brand. For grading your SEO, the Moz toolset can assign each of your landing pages a grade and tell you where you may be falling short from a technical SEO perspective. Where Moz shines the brightest is in its Open Site Explorer platform. Not only is it excellent for analyzing your own back links from a trust and authority perspective, but it’s fantastic for analyzing competitor back links to look for opportunities. It will also analyze your anchor text and your top linked pages for issues or opportunities. A Moz subscription is very cost-effective, starting at $99 per month. Searchmetrics has a comprehensive suite offering tools for both technical SEO and content optimization. The SEO metrics and analysis are wide-ranging and include: keyword research, rankings and URLs, optimizing on-page structure and content, evaluating links, tracking social engagement, and comparing domains on a project basis. In addition, the platform provides you with on-page analysis and recommendations, including site structure optimization. Searchmetrics’ proprietary SEO Visibility metric combines search volume and keyword ranking to get a comprehensive look at how visible your brand is. The higher the visibility, the more people are seeing impressions of your site in search engine results pages or in social media. It’s an excellent metric for determining the efficacy of your SEO efforts in total and to compare yourself to the competition. Another great tool they offer is Traffic Insight, which helps you to reconstruct “not provided” keywords and traffic data on a page-by-page basis. They do this by bringing together multiple data sources and processing them through their proprietary algorithm. This allows them to reverse engineer some of the “not provided” data. Searchmetrics also offers competitive keyword research for both paid and organic traffic. You can analyze any domain and the software will return a list of competitors for both organic and paid search, including information on how many keywords the domain shares in common with its competition, how many keywords it does not have in common with competition, relative traffic data, and more. Another tool, Searchmetrics Essentials, lets you to quickly see how your competition is doing in organic search, paid search, and more. The keywords tab gives you search volume, cost per click, competition for keywords, and the average ad spend on a per-keyword basis. This can be more helpful and informative than simply using the Google Keyword Planner. Searchmetrics Essentials also lets you analyze your competition’s social media campaigns. You can see which pages have the most likes, comments, and shares across all of the popular networks. Searchmetrics is a “one-stop shop” of competitor research, backlink profiling, social media overviews, keyword research, and customized suggestions, and current opportunities based on upon the goals you’ve set and your current data. The Essentials suite comes at a pretty budget-friendly $69/month. If you’re serious about link building and creating a solid, sustainable link portfolio, Majestic can give you fantastic information, some of which you can’t get from other sources. Referring domains, backlinks, new links, lost links, anchor text — you get a mountain of data that leaves little place for hidden surprises. It gives you a great starting point for launching a linkbuilding campaign, shows you where you are missing opportunities, and can tell you where your competitors are missing on opportunities that you can scoop up. One thing I find particularly useful in Majestic that you are not going to find in other tools is the “Topics” tab. All other things being equal, a link from “just anywhere” isn’t going to provide you as much value as one from a site which is similar to yours. It looks more natural and relevant to Google when you acquire links from sites with content which is similar or related to the content on your site. If you’re a design site, they expect you to be linked to by other designers, design magazines, etc. This helps to show you as a go-to source for information within your field. “Topics” looks at how your backlinks are grouped into relevant categories. One of my other favorite tools for Majestic is the “new” links report. In my experience, Majestic has one of the most up-to-date link indices. This can be useful for monitoring new sites linking to you so that you can watch for new opportunities to build relationships with those sites and authors and perhaps gain even more visibility in coverage going forward. I also like to check this report on a regular basis to look for odd patterns in new links. I have detected more than one potential instance of negative SEO by using this report to find patterns of a sudden massive increase in low quality links over a sustained period of time. Majestic’s Silver Quarterly plan offers 5 million downloadable backlinks for $49/mo, or 25 million for $169 for large-scale enterprises. SEMrush offers an extremely comprehensive range of competitive analysis for both organic and paid traffic. You should be able to get the data it offers for your own site from other sources, but it’s in looking at your competitors where SEMrush provides the most value. With it, you can analyze a site’s organic traffic patterns, the keywords it ranks for, the keywords it bids on, estimate how much the site owners are spending on advertising, and analyze which keywords it has in common with its top competitors. For your own site, this is also a great place to start if you are unsure who your top search competitors are. SEMrush is relatively inexpensive at approximately $80-$150 per month. LinkResearchTools is a fantastic toolset focused almost exclusively on link research. Whether you are looking to analyze your own back links, or perform back link analysis on your competitor, there’s almost no better link analysis platform out there. It has a huge range of functionality and measures more than 90 individual SEO/link metrics. While it offers a huge selection of link research tools (as the name would obviously suggest), one of its most valuable tools in the age of Penguin penalties, spammers, poor link building, and even negative SEO is its Link Detox tool. The Link Detox tool is my “go to” tool for analyzing the overall risk or spamminess of a site’s back link profile; it can also analyze and report on the risk level of each of those individual links. It can even export the list of questionable links you select to a solution to automate the outreach to clean up those links (like Pitchbox) or create your Google link disavow file for you. While it may seem to be a little bit pricier, starting at $129 per month, it’s well worth the investment to stay out of the Google link penalty box. Indeed, it is so valuable that many larger consultancies and agencies pay $649 per month or even as high as $1799 per month for memberships. For even more in-depth look at Link Research Tools, you can see my previous Search Engine Land article here. Trellian’s Keyword Discovery is an extremely popular third-party tool for doing keyword research and is usually one of my first choices after Google’s AdWords Keyword Planner. Keyword Discovery offers a wide variety of tools for doing keyword research. It also offers some great tools for doing competitive research. It really is a great one-stop destination for doing a variety of research. As with many keyword research tools, which don’t get their data directly from the search engines themselves, you do have to take some of their data with a grain of salt. Keyword Discovery’s most basic toolset is that for doing straightforward keyword research. When you enter a keyword, it will bring back the most popular search terms that include the terms you provided, along with an estimate of how many searches there were per month for those keywords over the past year. Along with basic keyword research, KeywordDiscovery can provide you with reports on: Seasonal Search Trends, Spelling Mistake Research, Related Keywords, Keyword Density Analysis, and the Domain Researcher Tool. Trellian, which powers KeywordDiscovery, also offers Competitive Intelligence reports. These reports include: Link Intelligence, Search Term Intelligence, Search Engine Intelligence, PPC Campaign Intelligence, Referrer Intelligence, Popularity Index Report, Ranking Report, and the Competitive Intelligence Executive Report. KeywordDiscovery also offers a limited free version. When you enter a keyword or phrase, you’ll see a list containing both the keyword or phrase and related keywords, along with their estimated search count per month (averaged over the past year). The data available in this tool will be much more limited than that offered in the paid tool. KeywordDiscovery offers a variety of subscription options that range from a standard monthly subscription for $69.95 to a yearly enterprise subscription for several thousand dollars. Competitive Intelligence Reports range from $99.95 per month per domain (plus a $150 setup fee) to $995 per year per domain. I’ve mentioned Pitchbox previously as one of my favorite tools for scaling your link building, but it’s such a time saver that it’s worth mentioning again. Pitchbox helps you build a list of outreach prospects based on keywords, or even on your own custom lists or on your competitors’ backlinks. Not only does it find and grade opportunities based on just about every link metric out there, it helps create, send, and manage your email outreach to the prospects you wish to contact and reports on which stage you are at with each of them. Pitchbox ranges from $49 per month and up depending on the subscription level. If you’ve been doing online marketing and SEO for a while, you are probably already using a ranking tracker like AuthorityLabs or Moz to track your Google and Bing rankings. But what about your YouTube search rankings? Voot will allow you to track search rankings, views, and other engagement metrics in ways that no other readily available tool can do. As I stated at the outset, there are literally hundreds of SEO tools and tool sets to choose from. What I have tried to give you here is an overview of some of the tools I use most frequently, the ones which save me the most amount of time, and/or give me insights unavailable through other sources. Ultimately, you will have to decide which tools give you the best return on your investments of both money and time. Although these tools can give you incredible insights, it’s still up to you to take those insights and turn them into actions to improve your organic traffic.